Last week I watched Snow White and the Huntsman and I was whelmed with Kristen Stewart's performance as I kind of knew I would be, but loved Charlize Theron as the Evil Queen. She was stunning and mental. Like myself. Except for the stunning part. I also don't go around asking mirrors if I'm a ride or not. Where we are alike the most is our apparent general annoyance at Kristen Stewart and I'm happy to be in such good company in that respect. 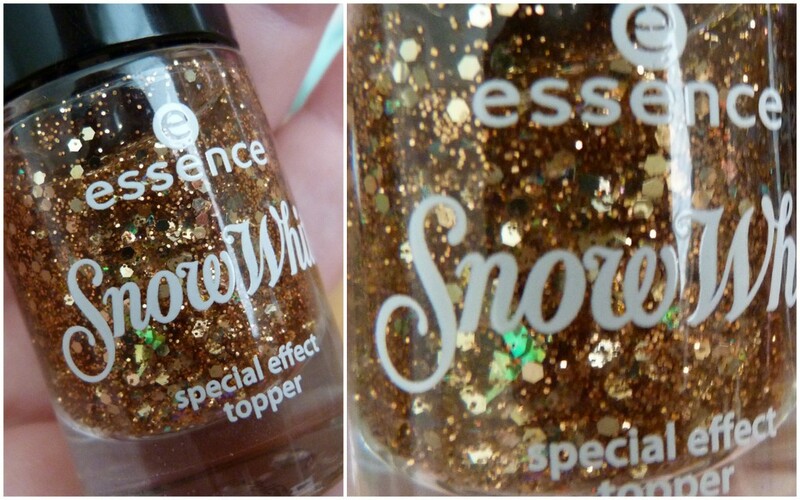 While queuing in my local Penneys last week, I was subliminally drawn to buying these two polishes. When I say subliminally, I mean the stand was at the top of the queue and I did that whole "impulse buy at the register" thing. I see sparkle and I buy. I didn't even look at the names. I just saw glitter and was hooked. 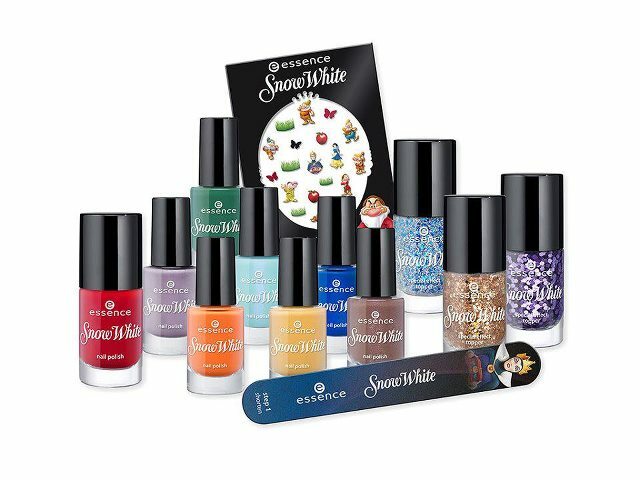 What is very interesting altogether is I didn't get any polishes that had anything to do with Snow White herself aka Kristen-I-Have-No-Expression-In-My-Face-Whatsoever. 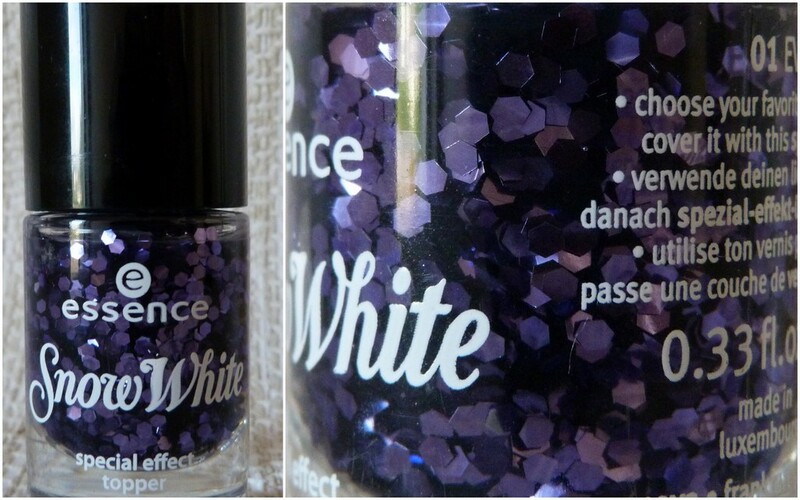 I picked up this stunner - Evil Queen which is a clear base polish chocker full of purple hexagonal glitter. As chocker as it looks in the bottle, on the nails it's much more sparse and I really needed to work to get the glitter remotely evenly spaced on the nails. I learned to place the brush on the nails rather than drag it along, pulling all the glitter to the tips of the nails. If you get this, you'll see what I mean. It's worth the effort though as you'll see below in the swatches. The other polish is The Huntsman and again it's a clear base but has large hexagonal glitter packed in with smaller glitter and every so often there are holographic bits that peek through. You can see the green flecks below in the photos. 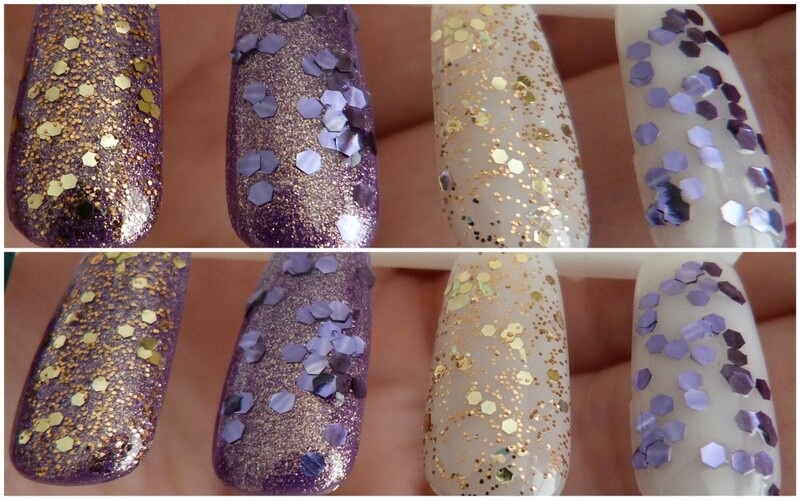 This polish is much easier to work with thanks to the small glitter which covers where the hexagonal glitter misses. Below we've one coat of each polish on the left and two coats on the right. I picked up a few Orly polishes earlier in the week in TK Maxx and one of them is the gorgeous shade Oui, a purple base with gold shimmer running through it that I can show you in closer detail if you'd like. I thought it'd be the perfect polish to layer with the two Essence Top Coats as it has both shades in it itself. I think I'm loving The Huntsman over Oui. It's beautiful! These two top coats set me back €2.29 each which is an absolute steal. Here's a look at the rest of the collection. Isn't it cute! The larger nail polishes are €2.29, the smaller ones are €1.99, nail stickers come in at €1.59 and the nail file completes the collection at €1.59. Bargaintastic! They look so pretty! I'll have to give in and buy them.. I've been waiting for these for ages and haven't found them yet. Are they in stores now?